The square-shaped solenoids of the High Performance Line are characterised by their powerful lifting work and modular design, making them suitable for numerous options. They are used wherever high forces are needed in a small space, e.g. in high-voltage power switches, railway car door locking systems, automation technology, general actuating functions and parking systems. 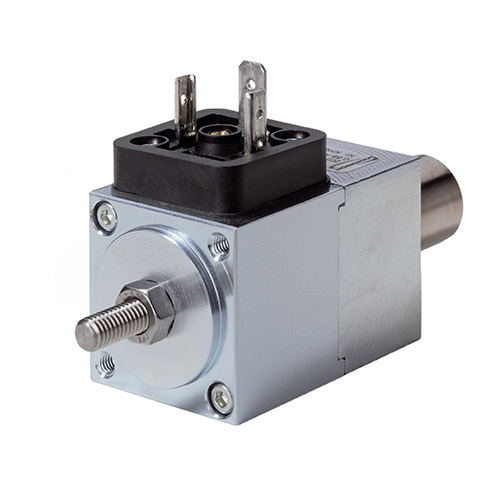 The solenoids can be installed in any position. The force transfer can be pulling or pushing, but it should be in the axial direction only. Lateral loads increase the wear on the bearings. The application of an electromagnetic force brings about a linear movement from the initial position to the end position. Actuating solenoids are correcting elements in which the action of force of an electromagnetic field is used to achieve a limited, longitudinal movement. The return movement is accomplished by external forces or optional by integration of a return spring. The standard devices are not equipped with a stroke limitation. The products and devices are manufactured and tested according to DIN VDE 0580/07.2000.